Time for a back to school garment. Hoodie in good used condition from non-smoking home. My daughter left this at home because she doesn't need it. 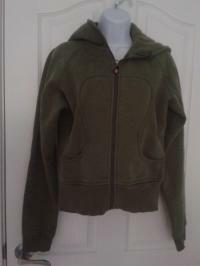 I can't fit it because it is x-small, so I am selling it rathe than letting it take up space in my closet. No stains or tears.